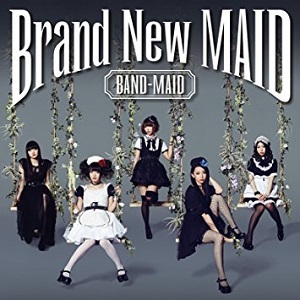 Brand New Maid is 3rd mini-album also major debut of BAND-MAID. Start from this mini-album they dropped "®" from their name. The music videos of the non-fiction days, Before Yesterday and alone from this album are available on their official YouTube account. There are 2 type from this mini-album. Type A album has CD with 8 songs and DVD with 3 music videos (the non-fiction days, ORDER, and alone). Type B has CD with 9 songs (same 8 songs with Type A plus REAL EXISTENCE [Live Ver.]). Type A and Type B has different cover album. For a limited time Type A comes with special bonus "BAND-MAID guitar pick", and Type B comes with special bonus "BAND-MAID Poster".